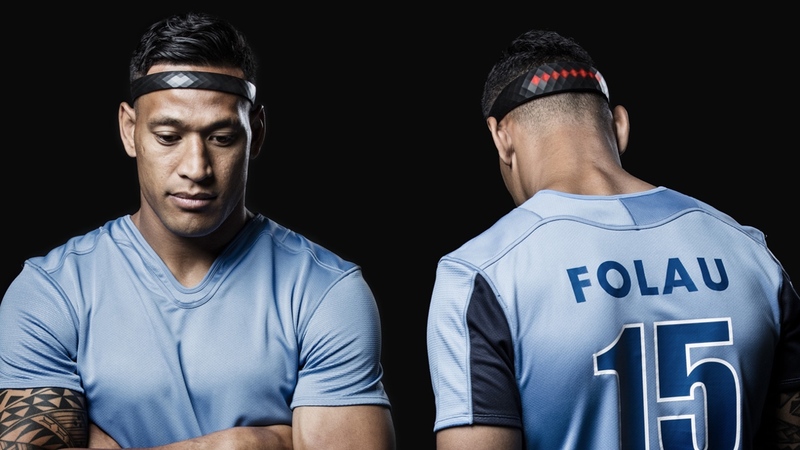 Samsung Australia has developed a wearable that it hopes can prevent head injuries in contact sports like rugby and the NFL by closely monitoring concussions. The Brainband is essentially a rubber strap that fits around the athlete's head and looks a bit like a sweatband. It's packed with sensors that are able to read and register the movement of the brain, while a series of LED lights at the back of the band can indicate when a player has taken a hit. The severity of the hit is then indicated by a yellow, orange or red flashing light. All the information is sent in real time to a phone, tablet or smartwatch. That data could then be in the hands of the coach, the medical team on standby or even the referee. Samsung hopes getting that data quickly to the right people could help prevent further injuries during a match, helping medical staff to effectively treat a player. It will also log a player's impact history over a season or their entire career. Whether they stay at the club or move on, that information can be accessed to help get a better understanding of the long term effects of taking too many hits out on the field. Addressing the issue of head injuries in contact sports has been a hot topic of debate in recent years, particularly in the NFL. Will Smith's 2015 film Concussion focused on the subject of professional football players suffering brain damage as a result of numerous concussions suffered during their playing careers. Lawsuits have been filed in other sports by former pros who believed the effects of concussions were not made clear enough. Wearable tech is definitely playing its part to solve the problem. We've already seen the Zero1 football helmet that buckles on impact before returning to shape. We've also seen U.S. Army Research Laboratory come up with a material that tethers a player's helmet to their shoulder pads that can adapt to help prevent concussions on the field. Even Reebok has been trying to offer a way to closely monitor concussions. Industrial designer Braden Wilson and neuroscientist Alan Pearce, creators of the Brainband, currently have 10 working prototypes of the smart headband. Samsung Australia has also given the creators a grant to help to get the idea into production. We're sure there'll be a few folks over in the US keeping a close eye on how the pair get on with this potentially groundbreaking piece of wearable kit.